Charcoal, partly stumped, on paper. Gift of Alexander B. V. Johnson. Artist's stamp in blue ink at lower right corner, "H. LEHMANN"; numbered in graphite at bottom center, "68". The artist's family; Galerie de Bayser, Paris; Alexander B. V. Johnson, New York. 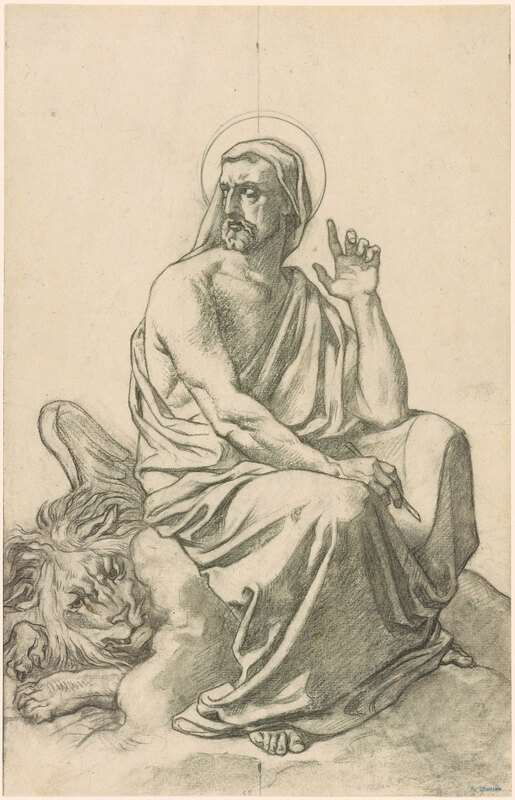 This drawing is a study for the decoration of the Chapelle de l'Institut des Jeunes Aveugles in Paris, on which Lehmann was at work between 1843 and 1850.